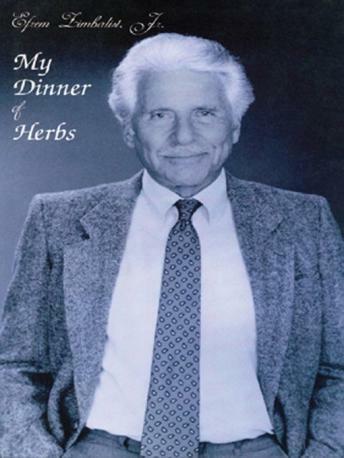 Written By: Efrem Zimbalist, Jr.
Narrated By: Efrem Zimbalist, Jr.
Actor Efrem Zimbalist, Jr., eloquently writes his memories of family, his student days at Yale, his military service, his travels abroad, and his careers in movies, television, and the theater, including his share in a Pulitzer Prize. As a girl, I watched The FBI every week & always liked Mr. Zimbalist's cool, professional character, rooting for him to get the bad guys. While I knew a little about his background, I didn't know much. This memoir helps some. I listened to Julie Andrews' book right before this one. Where she almost gives you too much information, Mr. Zimbalist doesn't quite give enough - a curious contrast certainly. The lovely thing about this book is the inclusion of recordings of his father's incredible violin performances & his mother's (Alma Gluck) exquisite voice. He tells some stories of his time in theater & Hollywood but I wished for more. I also wished for more about his war experiences but he leaves a lot out. I filled in the gaps through some Internet search. Overall, a very nice memoir from a understated gentleman.